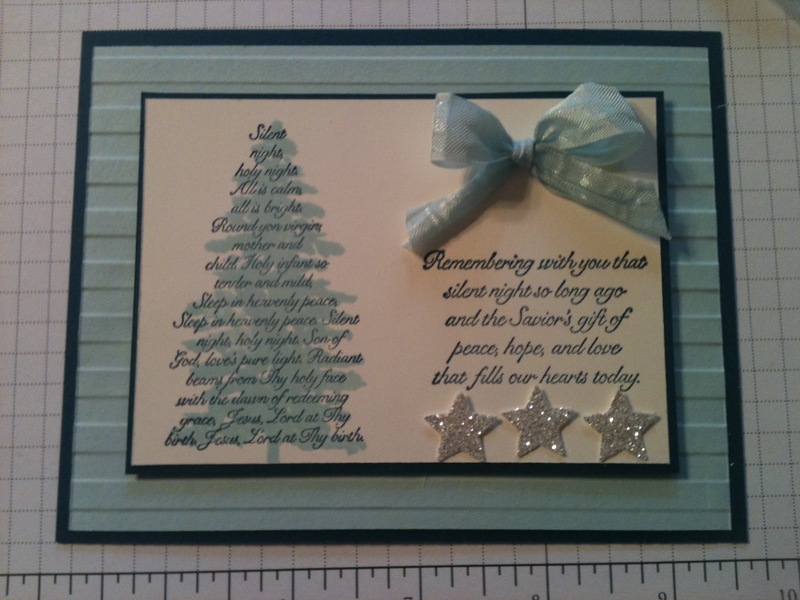 This is my fifth and final card for my Christmas in July Class on July 28th. I wanted to make a "different" card... 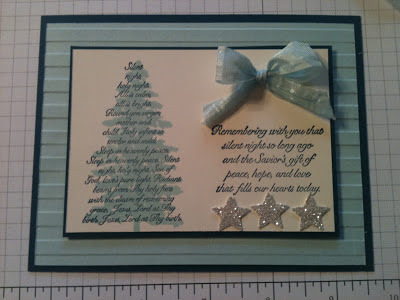 I know trees aren't blue but I really love the look of this card. :) Today I am teaching a class for my mom and her friends in Michigan. Crazy, I know. I do have customers in Michigan and when I go there, I offer to do a class.